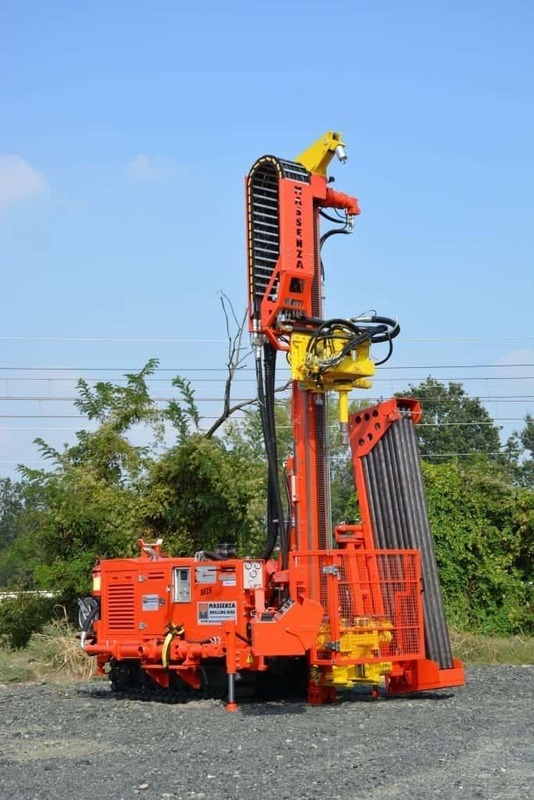 The big news introduced on this machine is given by the fact that the rods and all that is needed to operate are on board, without having to make big efforts and with the possibility even of a single operator to do the job. - Deutz engine type TCD 3.6 L4, maximum 122 HP (90 kw), in compliance with the EU regulation STAGE III B / US Tier 4 interim. 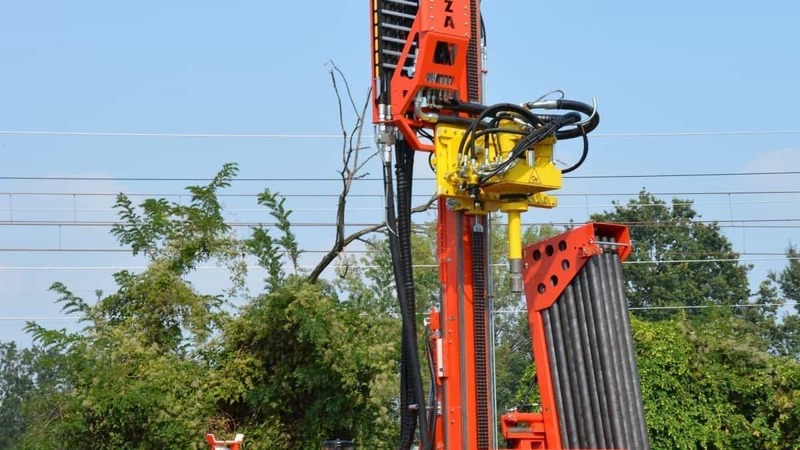 - Hydraulic controls on swivel arm for maximum visibility of the drilling area. - Mast with 7000 kg capacity, with head stroke to drill with 3 m rods. - 6500 kg pull up and down. 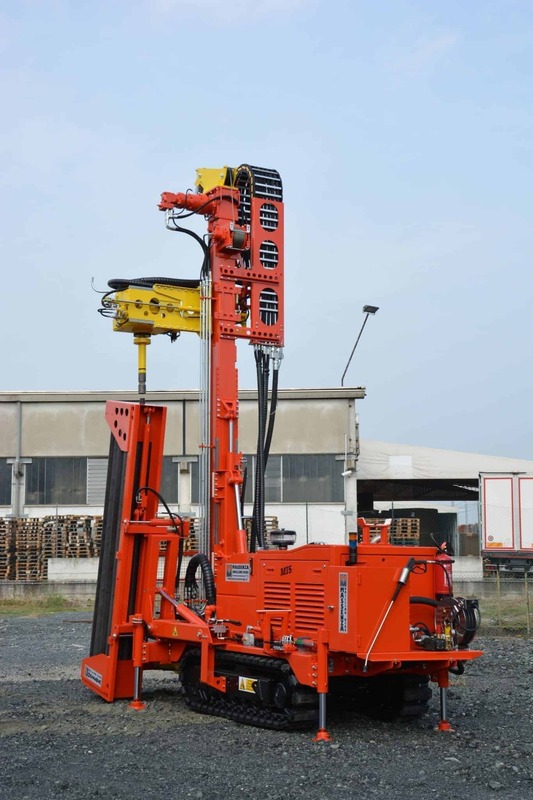 - Double hydraulic clamp with 310 mm passage and centering devices. - Rotary head Massenza with double maximum 10164 Nm and max speed 154 rpm. 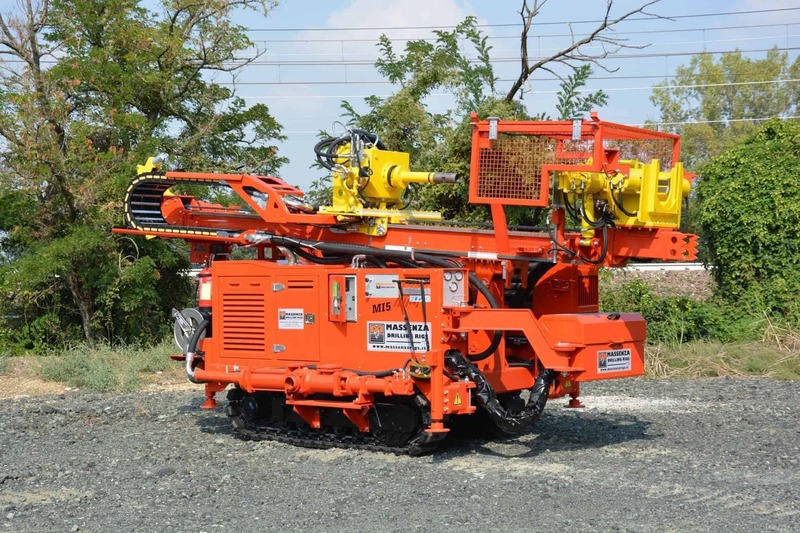 - Folding rod box that allows you to position the rod exactly in the hooking point to allow you to screw it with the rotation head in the side parking and continue the operations automatically from the control panel. - Generator and welding machine. - Protection cage and the operator in conformity with CE.